2013 was a fun year for us here at Twisted Studio, and we are so very excited for what 2014 surely has in store. We’ve been splitting our time up between our two main projects; The Underground and Tecumseh. It’s been a lot of work with no immediate gratification, but this is the year that it all starts coming together. This year we aim to release two new printed books, one for each of our projects. Talks have already started with a printer here in Ontario, and we’ve begun our fundraising efforts to help us achieve our new goals. The Underground #2: Bad Seeds should see production this year. This is the third installment in The Underground series, taking place directly after Issue #0: Unearthed. So far in the story we’ve seen the unexpecting hero Cyrus lose his home, come face to face with an enormous Mole Cricket, and finally join up with the Zealots Elite. While the Zealots may have mixed feelings about the clumsy Ladybug, they’ve agreed to bring him back to see their Queen; the benevolent Azulon. Bad Seeds brings us into the ant city of Coryn, and also gives us a closer glimpse of the wicked Hive Shock Troops; the villains responsible for the decimation of Cyrus’ home. Tecumseh: A Heroic Tale of War and Shattered Dreams should see it’s first installment hit production this year. This first part of the mini-series “Tecumseh and the prophet” will introduce us to our hero Tecumseh, but also his brother Lalawethika. Windsor area residents should take particular interest as elements from Tecumseh’s life, and the War of 1812 are all around us. The books in the Tecumseh series step away from the standard comic book format, and feel more like historical reference books. Each portion of the story has been tirelessy researched, and each page is packed with hints of days gone by. That of course is just the tip of the iceberg, Twisted Fans! We’ve got plenty of goodies planned, and we’re looking forward to another awesome year. Be sure to like us on Facebook, and share us with your friends it’s going to be an exciting ride. A Very Special Twisted Birthday! 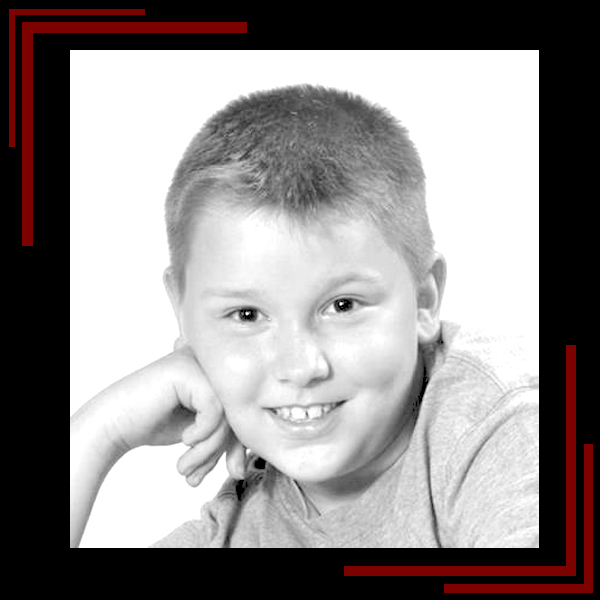 Today is a very special day in the Twisted Studio family, our youngest member is celebrating his ninth birthday! That’s right, time sure flies. My son Ayden Reaume is growing into a strong, compassionate, and well mannered individual. He cares so deeply for those around him, and understands things on a level that I don’t think many adults do. What’s more, he’s a strong advocate for Twisted Studio, and any other project his old man is a part of. There are so many days that I come home from work, and Ayden is quick to greet me with his latest promotional piece for Twisted Studio’s use. “Do you like bugs? Then you have to read The Underground!” “Be on the lookout for Tecumseh!” His faith in me is inspiring, and it constantly pushes me to try harder, and persevere. Some would say that he’s my biggest fan, but truth be told, I’m his biggest fan. Happy Birthday Chief. I love you with all that I am, and I’m so very proud of you. Fundraising efforts have kicked off for our newest comic project, Tecumseh. Dave and I have worked out a system of rewards for those fans willing and able to donate to the cause. It’s pretty exciting, and includes some fun and exclusive swag. Beyond this though, as artist on the series, I wanted to talk about why I’m so excited for this project. Tecumseh is a project unlike any other I’ve ever worked on. It is a historical retelling of the War of 1812, and the death of Chief Tecumseh. Most importantly, the story has strong roots right here in Windsor and surrounding areas. Dave has worked tirelessly to amass a staggering collection of reference and source material for the project, and it shows in the finished script. I knew the challenge presented by taking on a historical story such as this. I recognized that a typical comic format would not do justice to the legend of Chief Tecumseh and the hours of time in research Dave had already devoted. So this idea of a sort of ‘art book’ began to evolve. The book would become a veritable collection of artifacts, trinkets, and images from 1812. The ‘panels’ of the story would resemble torn, scorched, and aged pages, and the artwork would be appropriately distressed to match. The gutters have been designed to depict an old wooden table upon which the torn paper panels have been set. Coins, arrowheads, and even drops of blood are scattered atop the panels adding to the concept of an archivists worktable. The timing is perfect for this project as well, when considering all of the commemorative 1812 events in our immediate area alone. These have provided us with countless research resources, and opportunities to raise project awareness. We’ve reached out to Fort Malden, Walpole Island and local reenactors; the response has been quite positive. For these reasons and many more, Tecumseh is a project like no other. I sincerely hope that you can show your support in some way, and join us on a journey back through history. We are proud to announce Twisted Studio’s first Open Forum Night! We’re very excited about this event as it will be a great opportunity to discuss our projects, and priorities with our followers. While we plan to have several of these nights, this first one will be focusing on The Underground, and what it’s next steps are. Thursday, August 29th 2013 @ 9:00pm. Put the kids to bed, and cue up the coffee machine! We’re ready to shoot ideas around, field questions, and clear up any confusion there may be in the air. We’ve always believed in the value of open communication. This goes for families, relationships, and businesses. We want to keep you informed as to what our plans are, and give you the opportunity to offer your thoughts, or ask questions. The Underground has just come off of their ‘less than successful’ RocketHub campaign, so this is as good a reason as any to dedicate a night to discussing where we go from here. We’ve also just finished restructuring the forum to better reflect and facilitate what our future plans are. Now’s the perfect time to pop in, say hello and get involved with our little community. Everyone! It’s an open forum because we’d like everyone to come out and participate. If you’ve got the time, we’d love to hear from you. So spread the word, come on out, share some wisdom! Twisted Studio’s first ever Open Forum Night is on the horizon. 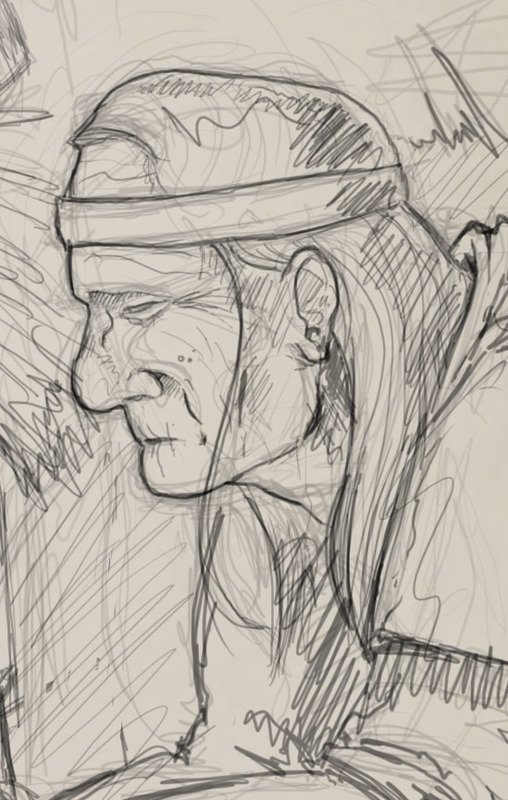 Twisted Studio’s most recent project is the story of local legend, Shawnee Chief Tecumseh. It’s a project that proves to be drastically different from anything we’ve produced before, or seen in the industry. For those twisted fans who may not be familiar with the legend, Tecumseh writer Dave Rocha sat down to answer a few questions on the project. Q: For those readers who are not aware who is Chief Tecumseh? A: The First Nations Chief who may or may not have been an actual chief was certainly a well respected, literate, Shawnee war leader who brought together all the tribes of the great lakes and even some to the south in opposition to the United States of America. Q: Why is the War of 1812 so important? A: It a tiny little war that was fought between two nations that forged the destiny of a entire continent for 200 years and beyond. Small in scale and yet bitter and hard fought that ended in a stalemate. Q: Why did you choose to tell this story, why is it so important to you? A: None of the war goals of the attacker were gained. No land was lost by either side in the peace terms and the defender only had to concede one of its peace demands. That one demand was of course Tecumseh’s dream of a First Nations homeland stretching from the southern shores of the great lakes south to north shore of the Ohio River and bounded on the west by the Mississippi River. How different would the last 200 years have been if that dream had been realized? … um I mean I grew up in one of the few areas the Americans occupied 200 years ago, Windsor or as it was in 1812, Sandwich. Q: How is the story laid out? Is it a one book shot? A mini-series? Or an ongoing series? A: We plan on doing a 6 issue mini-series that will end with the fate of Tecumseh. Plenty of war still happens after that fateful day in 1813 but if we still feel like writing and drawing about muskets, cannons and war at sea under sail and most importantly do “YOU” want to read it. Q: Who are some of the main characters we’ll be introduced to in the first book? A: Tecumseh of course and his brother Lalawethika/Tenskwatawa, Indiana Governor and future President, General William Henry Harrison, his First-Nations sub-ordinate and US Indian Agent Captain, William Wells (Apakonit in Miami meaning Carrot top) will be the main characters in this issue. A few more characters that are briefly introduced will become more prominent by Issue 2 as the British Empire enters the war. Q: What differences do you notice working on a Non-fiction based story as opposed to your history of working on Fiction titles? A: Not much to be honest, I like to keep all my writing grounded in some story from the written history of humanity. EVERY good story has been done before, as long as I can surprise the reader and make them want more, I have done my job. Q: Has it been a challenge encorporating historical facts? A: Nope, I love making things my own. It may be a historical account but rest assured it will be slightly …. TWISTED! Q: Lastly, are there any plans or concepts for other stories of historical relevance? That’s all for today, thanks Dave for your time, and thank you twisted fans for checking in! Stay tuned for more information on this exciting new series, and be sure to like our Facebook page for more updates. It did not take long, however, for Prime to grow into the impressive showroom it now inhabits at Plaza Ontario. 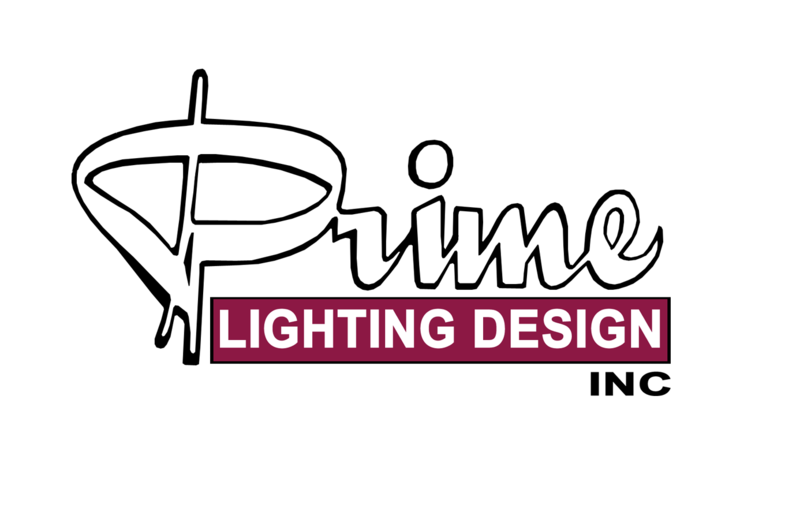 From this humble and noble beginning, Prime Lighting design has succeeded in it’s mission and as of this writing in 2012 continues to “brighten” up the lives of home and business owners while continuing to help professionals by offering quality help and expertise. Prime Lighting Design is so much more than a retail location. From your very first visit to the showroom, you will be met with a truly unique experience. Their qualified lighting specialists take great care to ensure that your individual needs are being met, that your living space is reflecting your distinct personality, all while you enjoy a calm, soothing, and low pressure environment. Through individual consultations they can help you develop a cohesive lighting schedule for your home. Moving forward, Prime continues its effort to offer quality products, services, and advice to the local community. No longer do Windsor residents have to settle for adequate lighting. With a constant focus on growth, expansion, knowledge and evolving market trends, Prime has met the needs of countless clients and looks forward to the opportunity to do the same for you. Twisted Studio has had the pleasure since February of this year to work together with Prime to create and maintain their online presence. Being a Prime employee, Twisted artist Paul Reaume has put his creative skills to work with various marketing and promotional materials as well. Holding strong to the values of working close with those in our community, it has been a true pleasure building a relationship with our affiliate Prime Lighting Design. Theatre Windsor will be spooking it up with their Haunted House held at Tecumseh Mall throughout the dates and times listed below. 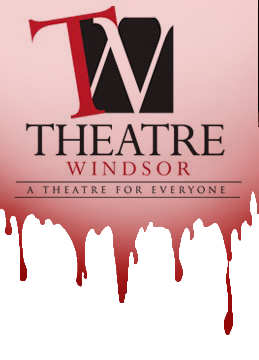 Theatre Windsor, ‘a theatre for everyone’, is a non-profit community theatre group. If you’re in the area and in mood for a scare, pop in to the mall and show your support. Bring your kids in costume on Hallowe’en for some spooktacular treats at participating retailers throughout the mall between 5:30 & 7pm. Suggested donations of $2.00 for admission. I was sixteen years old, when first I used the Twisted “T” logo. At that time it was a gimmick, a tag I used on my comic portfolios. Every few months I would prepare a new short story, a new hero, and a new villain. I’d prepare a handsome little package, and send it off to comic book studios under the “Twisted Studio” banner. I remember a mideval plot called “The Dark and The Fallen”, “Outlaws 3″ a western tale, and my earliest “Gallar”. Eventually, I came up with one story that would stick with me. The Underground became a favourite of mine, and of those people closest to me. Still, no replies came from any of the industry executives. Through the years, I continued my work on The Underground, achieving some small amount of local acclaim. Continuing with this series and the Twisted Studio banner, I had two books published. The insectoid story was sold from Southern Ohio, to Niagara Falls. The story was revamped over the years, my accumulated creative team poured hours upon hours of research into the title. Every corner of the buggy universe was flushed out, and we found new ways to promote it and attract our audience. Still no big break to the industry came, and at some point my confidence began to waver. In spite of this the Studio continued, and even expanded to include a lifelong friend, and fellow creative-mind Dave Rocha. Dave came on to our team as writing support, and brought with him new passion, new inspiration. We pushed forward harder than ever with the Underground. We opened consideration for, and began production on another title for the Studio. 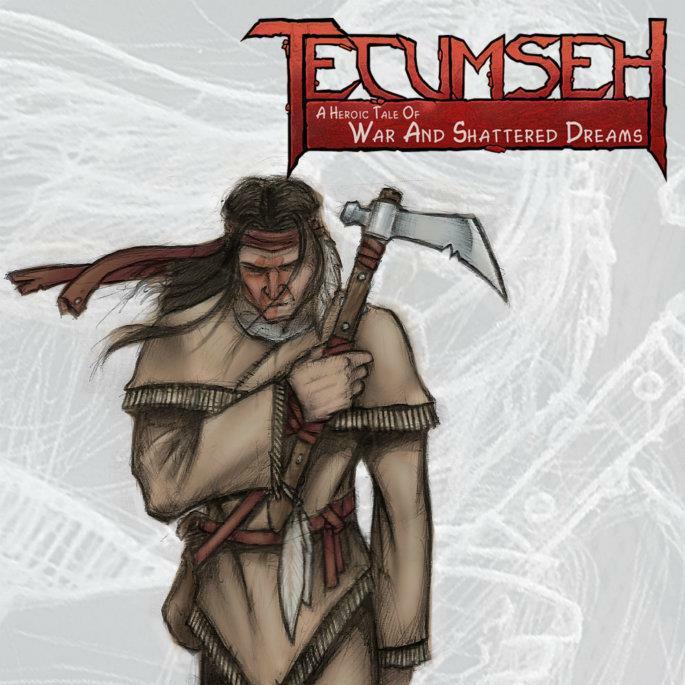 Tecumseh became our second official title, though we still had not attracted the attention of the big comic book publishers. We did however, begin to attract other local entrepreneurs. Our promoting methods, our use of social media, and our passion for our projects was appealing to others in a way that we had not anticipated. Then it hit me. Our passion for own projects has brought us to opportunites to help with other local projects. What I may have viewed as failures in the past were really stepping stones. They were necessary lessons, to bring us to where we are today. Our progress is evident in the projects and ventures that we’ve been asked to assist. This is the greatest part of Twisted Studio’s journey so far, is the ability to utilize our skills to help others. We’ve learned from the portfolios of a sixteen year old, the early publications of The Underground, and the research we’ve completed for Tecumseh. We are stronger than we’ve ever been, and the future is bright. With plans for board games, card games, merchandise, and other comic book titles; Twisted Studio is gearing up for the next portion of its exciting journey. Personally I am thankful for the lessons I’ve learned, and relationships forged along the way. At the same time I can’t wait for what’s waiting round the next corner. The War of 1812: Who Really Won? Who won the war of 1812? That is perhaps the most complicated question you could ask concerning the war. There were four major participants in this war arranged into two sides. It was a war that the United States declared against Great Britain and her North American allies and colonies. The war and it’s result went down differently for each participant. The United States started the war and it’s aim was to stop Britain from impressing it’s sailors (A war time practice of boarding neutral ships and forcing any English speaking sailors into the royal navy), stopping trade across the ocean to France and inciting Native unrest in the Great Lakes region. The States aimed to stop the latter and increase it’s territory by wiping out Native rebellion and by invading Canada. By the time the war was over in 1815, the US boundaries were unchanged but impressment had stopped due to lack of need (Napoleon had been defeated in Europe). Native unrest was quelled for the most part and Tecumseh was dead but warfare with the tribes continued for 50 years. Canada had not been conquered. None of the American war aims were actually solved by the war. The one thing they did win however was a national identity. The victory at the Battle of New Orleans convinced the Americans that they could repel a full on British invasion despite it having occurred after the war was over. Directly from this forgotten war the United States also published a new national anthem which was written about the successful defense of Fort McHenry. In Great Britain and Canada they won steadfast allies in every global conflict in the next 200 years. Great Britain lost men and resources but little else. They maintained the status quo. The only peace demand they had to give up was the creation of a First Nations state buffer zone as proposed by Brock and Tecumseh. They won due to their successful defense of the Canadian Colonies. Their possessions in North America were unsuccessfully invaded several times. The only land in Canada that was occupied by the invaders were Essex and Kent counties in southwestern Ontario; which were given back in the treaty of Ghent returning the border to that of a prewar state. Canada did not have much say in this war as it was not yet a nation but the Americans and Loyalists living in Upper Canada at the time would identify Americans as invaders that burned down their houses and destroyed their crops. Canada was not conquered by the US and was allowed to develop into the nation it is today. By the end of the war Canadians did not yet have a country and didn’t really have much of a national identity as a result. What they did know is what they weren’t. They weren’t Americans. The First Nations had a unique culture that did not believe in land ownership as the Europeans and Americans did. Instead they believed in common ownership and use by the whole which lead to land loss and removal issues with the Americans. Under the leadership of Tecumseh, the majority of First Nations of the great lakes had joined the British in the hopes of gaining a permanent homeland surrounding the lakes. In negotiating the treaty of Ghent the only peace condition dropped by the British was the creation of this native state in “Indian country”. This land was absorbed by the United States which is now parts of Pennsylvania and New York as well as the entire areas of modern Ohio, Indiana, Michigan, Wisconsin and Illinois. Great Britain, Canada and the United States all came out of this war as winners in their own ways. The only real losers of the war were the First Nations. 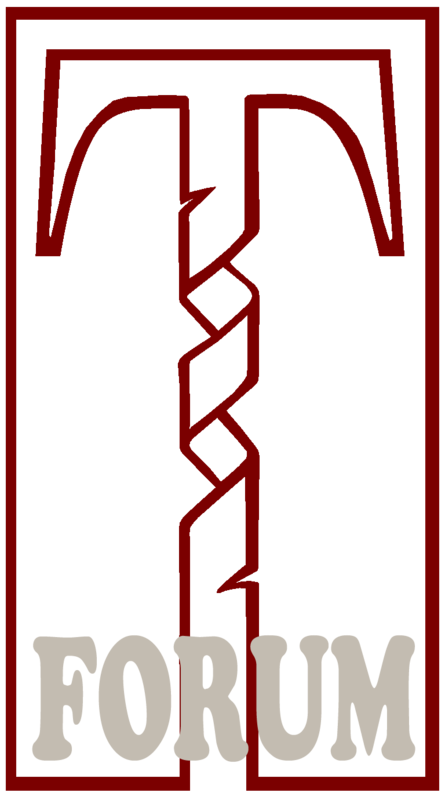 If you wish to learn more about Tecumseh’s struggle please stay tuned to www.twistedstudio.ca. It’s that time of year! The fall leaves crunch under your footsteps as you pass by storefronts adorned with ghosts and ghouls. Costumes are everywhere, and scary movies are on every channel. Yes, its Hallowe’en our favourite time of year. Nobody knows the season better than Windsor’s own Cash Wampum, and he’s proud to tell you about it on his web series Horror 101. Recently, Dave Rocha sat down to ask Cash some questions about his eerily entertaining episodes…. Dave: Can you tell me a little about what Horror 101 is? 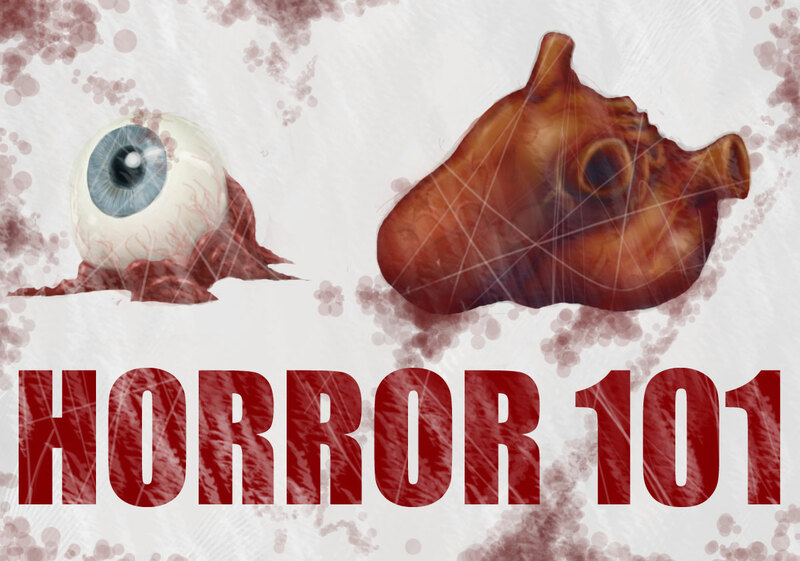 Cash: Horror 101 is an audio podcast out of Windsor, Ontario that focuses on some of the best horror movies from the last few decades that our listeners may have missed, especially hidden gems. It’s a mission to expose great horror. If even one person becomes a horror fan or falls in love with a horror movie because our show promoted it, then our job is done. Dave: Who are some of the big names you guys have featured? Cash: We’ve attended one convention as the crew from Horror 101 and we had a fantastic interview with Tony Todd who’s best known in the horror circle for playing Candyman. He was a great guy to talk to. Very knowledgeable and a fantastic actor. Dave: Where are you based? Dave: What’s some of the work you’ve done in the past? Cash: Before starting Horror 101 I was the videographer for a local paranormal investigation group called Spectral Solutions. I would follow the investigators around with the camera and edit a video, highlighting the event. This was challenging and time consuming but also a lot of fun to do. Dave: When is your next podcast and what is the topic? Cash: We just put out our 13th episode which aptly featured the first two Friday the 13th movies. Our next show should be out a couple of days before Halloween, which will focus on a true hidden gem of Halloween fun, a great little film called Trick ‘R Treat from 2007. We’ll be discussing why you should watch that one and we’ll also share some old personal Halloween tales.